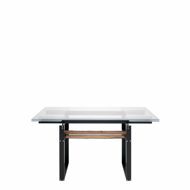 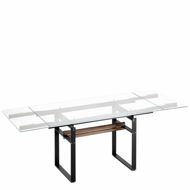 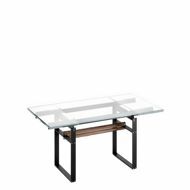 This extendable table features two 18.5" glass leaves that slide under the top when not in use. 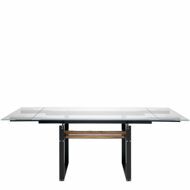 The base is done in a graphite embossed lacquered steel and is accented by a central, solid, Canaletto walnut beam. 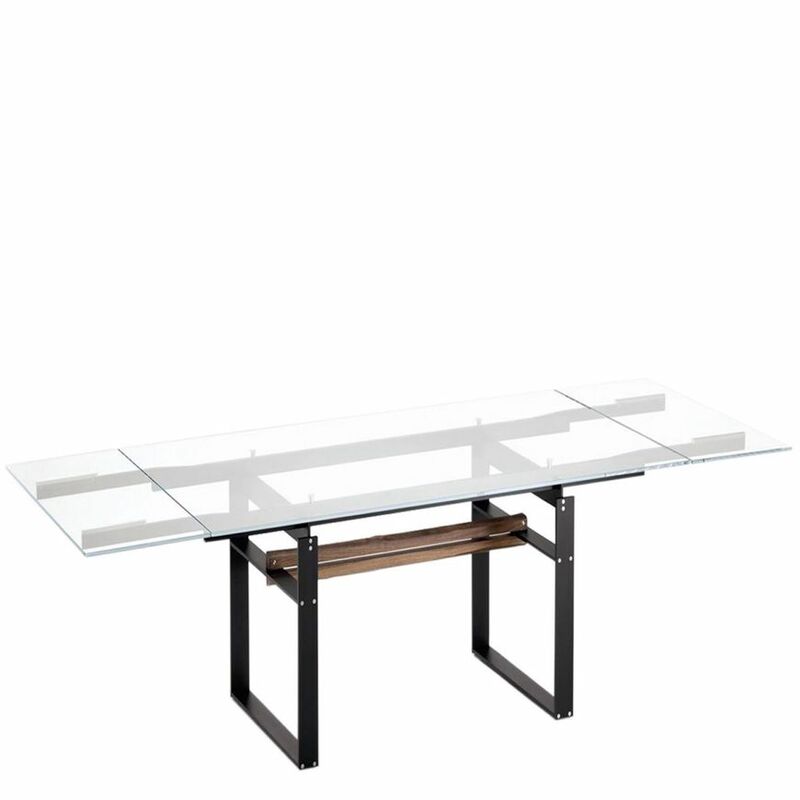 The top is done in 15mm extra clear glass.